I had the opportunity of experiencing a day in Atlanta, Georgia. Though I was only there for 1 day, I had a blast! I got to the Columbus airport very early for a 6 am flight to Atlanta. 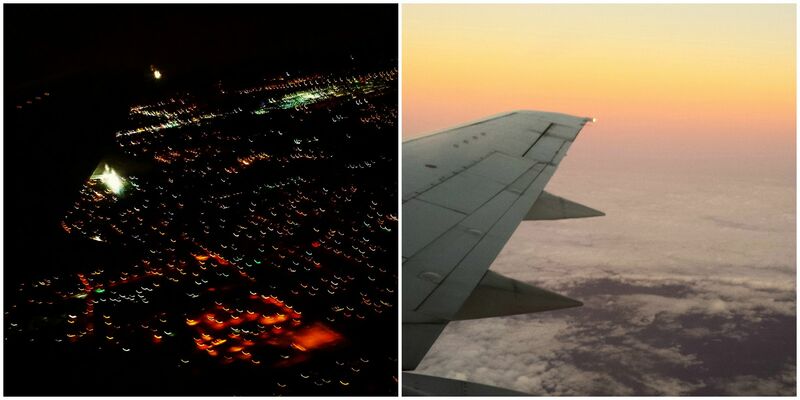 During the flight, I had a great view of all the lights of Columbus and of the rising sun. The airport in Atlanta was one of the biggest airports I have ever been in, though I have not been in many. You had to take a train to get to each gate letter and we also had to take a tram to the rental car place. Once we got our rental car, we decided to explore the city. 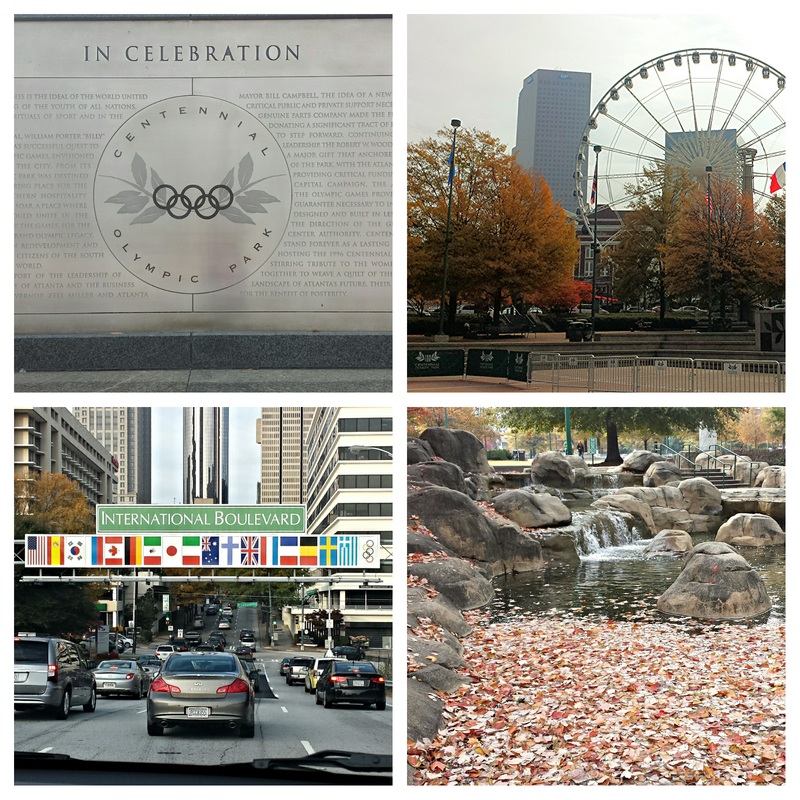 I got to officially check off one attraction from my bucket list: The Centennial Olympic Park! The park was very beautiful during the day. The weather was perfect and the leaves were all different shades of red, orange, and brown because the fall season was just beginning there, unlike in Columbus, Ohio where the leaves are already all off the trees and it is beginning to snow! The park was also in the process of being decorated for Christmas. There was a huge Christmas tree and some lights were being set up. I bet the park is beautiful at night when all the decorations are complete and lit up! 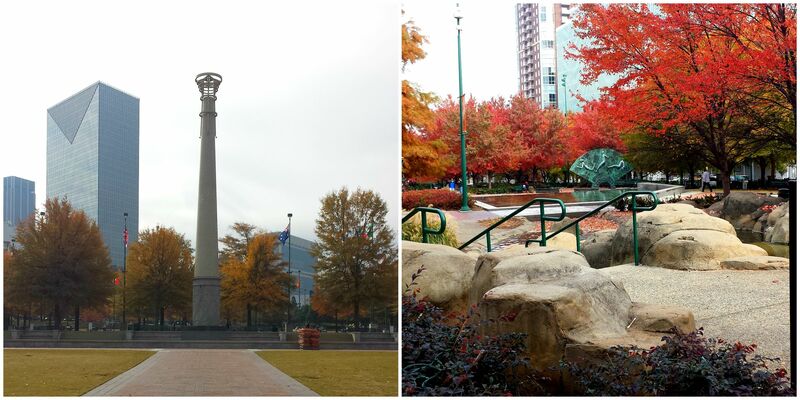 The Centennial Olympic Park had beautiful ponds and fountains that were paying tribute to the 1996 Olympics held in Atlanta, Georgia. There were statues of the Olympic Torch and there was an Olympic Ring Fountain, which sadly was closed for maintenance when I was there. There was also flags from all over the world circling the park. The park is also in the center of a bunch of attractions that I have to visit next time I am in Atlanta, like The World of Coca-Cola Museum, The Georgia Aquarium, and the CNN Center, the world’s headquarters of CNN where you can go on tours of the newsrooms and learn how the teleprompter and weather maps work. During the afternoon, I got to attend and help out at the opening ceremony and ribbon cutting ceremony of the newly renovated NextGen® rooms of the Lithonia, GA property! The rooms looked awesome with the new flat screen TVs and the comfy bedding with Rest Suite beds by Serta®. 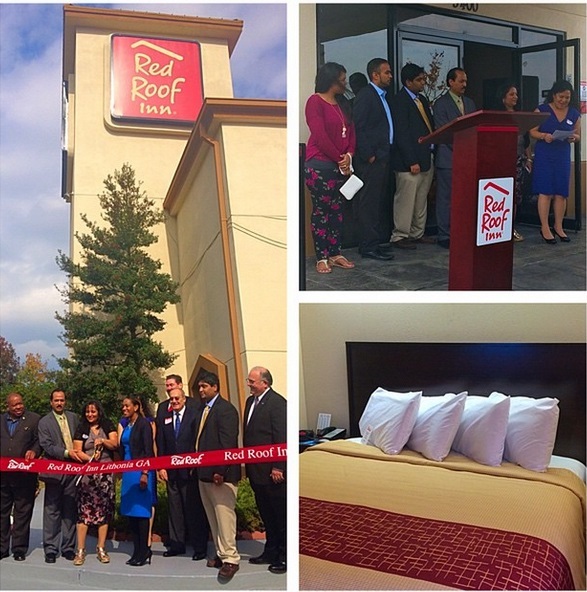 I had a great time meeting everyone who put time and effort into remodeling the hotel. After the ceremony, I got to walk around the Lenox Square Mall, which is bigger than any mall I have been to in Columbus! They also had the bakery, Sprinkles Cupcakes, which is the world’s first cupcake bakery, where I had a dark chocolate cupcake. The cupcake was absolutely delicious and I definitely recommend making the bakery a stop when you travel to Atlanta just so you can try their famous cupcakes! 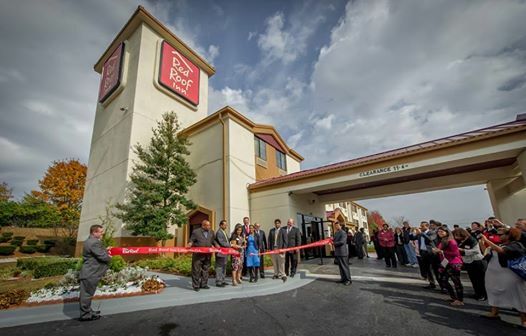 I spent the night at the Buckhead Red Roof Inn PLUS+ property and left the next morning to the airport. 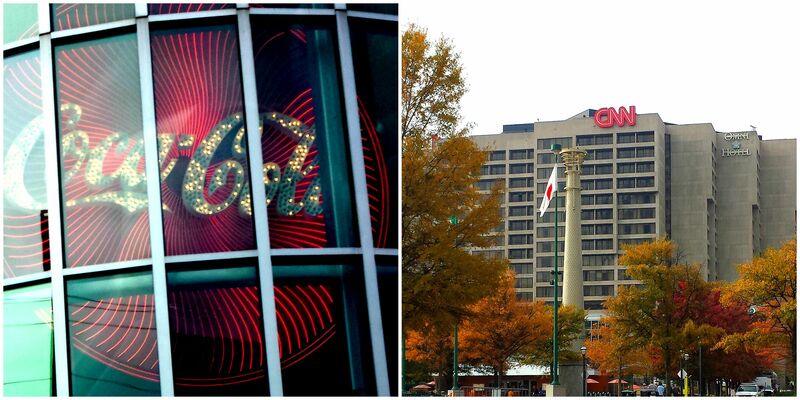 There are many Red Roof Inns around Atlanta, so when planning your trip, choose a Red Roof Inn to stay at so you can get more out of your travel experience with our low budget rates, like touring the CNN center, riding the Ferris Wheel, going on a shopping spree at the Lenox Square mall, or, my favorite, going to the aquarium! Life is short and the world is large, so start planning your adventures now!